Because hearing aids are worn on the body, they absorb moisture internally which can cause corrosion or other damage to the electrical components. 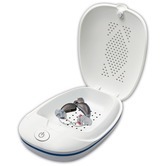 Drying the hearing aid out overnight will improve its reliability and help ensure satisfactory operation and extended life budget to replace capsules monthly. 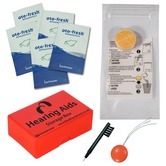 All sets are suitable for earmoulds and tubes as well as hearing aids. 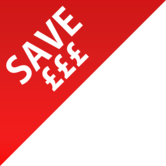 The Global Dry & Store II is the top of the range with both drying and germicidal features ‒ ideal for those wanting to keep their hearing aids in peak condition. 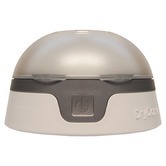 The Phonak D-Dry also features a UV lamp which will help to reduce infections while the Zephyr has the excellent drying capabilities of the Dry & Store, without the UV lamp. The Oto-fresh drying beaker, Dry Cap Tub Set, Dry Cap bag and Phonak drying beaker are ideal for use at home & when travelling. All sets are suitable for earmoulds and tubes as well as all types of hearing instruments. Two long lasting silica tablets, one to use and one spare, with screw top tub which holds tablet, aids etc. 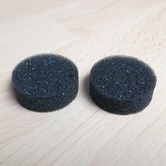 One long lasting replacement silica tablet for the Ront MDRYCAPSE2 set. 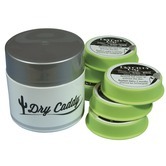 Pack of 6 dry cap bags and capsules. 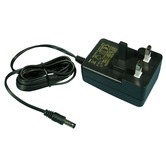 UK 13A square pin plug power supply for Global Dry n Store & Zephyr. 100-240V ac 50/60Hz 1A. 24V AC 400mA. Connevans is concerned about security and makes every effort to ensure our transaction process is safe and that your personal information is secure. 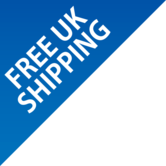 When paying via PayPal or Amazon we use the address and payment details already set-up on your account so you won’t need to enter them again. Copyright 2005-2019 Connevans Limited. All right reserved.